Inspiring Excellence: Every Grownup, Every Child, Every Day. Provides live homework help and in-person tutoring services that connect students to a professional tutor online in math, science, social studies or English. This database does require a Kansas City, Kansas Public Library card. If you need a card, please consider registering for an eCard by clicking here. This will provide you immediate access. For general background information on a wide variety of topics. Draws from encyclopedias, newspapers, magazines, primary sources, and scholarly journals. Draws from scholarly journals, and higher-level magazines for results. World Book Advanced is a powerful reference tool that includes encyclopedia, multimedia, online books, and primary source databases, fully integrated in a single search. Online encyclopedia with many topics and biographies. Powered by EBSCO. Encyclopedia for general background information on a wide variety of topics, including current events. A comprehensive source for information on authors and their works. Includes both biographical information as well as literary criticism. Similar to GoodReads, Novelist Plus provides readers with recommendations, reviews, and lists of similar books or authors. It also offers readers many ways to search for a book by the kind of story they are looking for. For general background information on a wide variety of topics, from historical to current events. Draws from encyclopedias, newspapers, magazines, primary sources, and scholarly journals. Provides thousands of primary source documents and background on a wide variety of historical events and people. Designed for middle school, this database draws from popular middle school magazines, biographies and historical essays. It includes primary source documents, reference books and a vast image collection. Designed for elementary, this database draws from popular children's magazines, easy-to-read encyclopedic entries and a vast image collection. Students can learn about a variety of topics, such as endangered species, famous musicians, fitness, space exploration and more. Teachers, librarians and student researchers can use this database to explore current events, social, political and economic issues, scientific discoveries, and other popular topics frequently discussed in the classroom. Designed specifically for public libraries, this database provides full text for magazines, reference books and primary source documents. It also includes an extensive image collection containing photos, maps and flags. World Book’s Early Peoples examines such ancient civilizations of the Chinese, Egyptians, Greeks, and Romans, and others. Learn all about environmental issues and green living practices. Explores the impact of the inventions and discoveries that continue to shape our world today, including an examination of advances in agriculture, engineering, communications, economics, manufacturing, the arts, astronomy, transportation, warfare, medicine, mathematics, and everyday items. This database draws on the connections between the environment and a variety of disciplines such as agriculture, education, law, health and technology. A comprehensive resource for consumers, Consumer Health Complete is designed to foster an overall understanding of health-related topics, providing content from mainstream medicine to complementary, holistic and integrated medicine. This database provides full-text for many of the most-used biomedical and health journals, allowing doctors, nurses, health professionals and researchers access to the information as soon as it is published. World Book Enciclopedia Estudiantil Hallazgos is the optimal beginner's Spanish-language reference tool. Fuente Académica provides researchers with a collection of scholarly journals from Latin America, Portugal and Spain, designed to make academic research readily available. 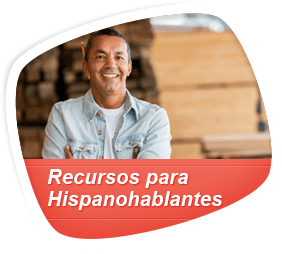 Academic and career tutorials for building skills in high school, college preparation, vocational exams, high school equivalency, adult learning, and courses for Spanish speakers. A unique collection of medical research and scientific journals from renowned Latin American and Spanish publishers, MedicLatina contains a complete table of contents and PDF full text for peer-reviewed medical journals in the Spanish language. Explora Educator’s Edition highlights content relevant to teachers, including lesson plans, curriculum standards, and other professional development resources. The Education Resource Information Center (ERIC) provides access to educational literature and resources. This database provides access to information from journals included in the Current Index of Journals in Education and Resources in Education Index. This database provides a highly specialized collection of information especially for educators, professional librarians and education researchers. A research database for teachers, providing indexing and abstracts for more than 200 peer-reviewed journals. This collection covers a variety of business disciplines, including market research reports, industry reports, country reports, company profiles and SWOT analyses. This database provides coverage for full-text business publications, on a regional level, for the United States and Canada. This database offers exclusive full text for many top consumer small business reference books, as well as the necessary tools and instructions to address a wide-range of small business topics. In addition, it provides business videos, a help and advice section, and information on how to create business plans. Mango Languages' language-learning resources help patrons, students, employees, and individuals learn 60+ languages online and on-the-go. Designed to meet a wide variety of vocational and technical research needs, this collection provides full-text coverage for trade and industry-related periodicals including Modern Machine Shop, Pediatric Nursing, Wireless Week, Drug Store News, Reeves Journal, Restaurant Business, Advertising Age and many more. This alternative health research database focuses on the many perspectives of complementary, holistic and integrated approaches to health care and wellness. Alt HealthWatch provides the latest information and materials for the evolving practice of holistic medicine and therapies, with in-depth coverage across the full spectrum of subject areas covered by complementary and alternative medicine. With abstracts from a national and international array of publications, Art Abstracts covers a variety of topics from fine, decorative and commercial art to photography, folk art, film and architecture. Featuring full-text articles, indexing and abstracts from an array of publications, this database is a robust resource for art students and art historians. Covers a variety of topics from fine, decorative and commerical art to phtotgraphy, folk art, film and architecture. Book Collection: Nonfiction contains informative abstracts and searchable full text for more than 4,500 nonfiction titles covering all core subject areas, as well as information on careers, health, sports, adventure, technology, life skills, and more. This database provides a balance of full-text journals and full-text consumer computer titles. This rich collection of consumer health information provides access to more than 80 full-text consumer health magazines, including American Fitness, Better Nutrition, Harvard Health Letter, Men's Health, Muscle & Fitness, Prevention, Vegetarian Times and many others. The most comprehensive and up-to-date bibliographic resource available. Users can connect to the materials in libraries—both print and electronic—from WorldCat records and article citations in other FirstSearch databases. The world's largest global catalog of library collections. SAGE Knowledge includes an expansive range of SAGE eBook and eReference content, including scholarly monographs, reference works, handbooks, series, professional development titles, and streaming video. SAGE Stats makes research easy by providing, in one place, annual measures dating back more than two decades. It features statistical data series created from more than 200,000 government and non-government datasets, covering popular topics of research interest for U.S. states, counties, cities, metropolitan areas, and ZIP codes. By harmonizing carefully-vetted data from multiple sources into the same format– allowing quick downloads, comparisons, and visualizations–SAGE Stats provides power and context for researchers at all levels. This database provides a comprehensive collection of the world's major news content and includes millions of articles from newspapers, newswires and news magazines. It also provides television and radio news transcripts and ongoing daily updates from popular news sources. An essential tool for researchers and students of theology and philsophical studies. School Library Staff support KCKPS’s mission by striving to empower students, staff, and community members to be life-long learners, informed decision-makers, information technology users, and enthusiastic readers. To have certified School Librarians and Library Aides engage and challenge all students in informational and digital literacy, and inspire a love of reading.